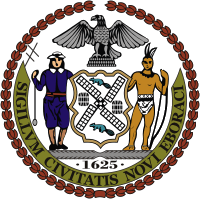 The Official website for the joint New York City Council and Mayoral Broadband Advisory Committee to explore the issue of universal broadband availability and access in New York City. Official Hearing Testimony of the Bronx Broadband Advisory Committee Hearing - March 30, 2007. Since 2002, Council Member Gale A. Brewer has been leading the effort to close the "digital divide" in New York. Her interest in this important issue led her to introduce legislation to create a Committee that would hear from the average New Yorker about how technology does and could play a role in improving his/her life. In 2005, Local Law 126 was signed by the Mayor. It created the Broadband Advisory Committee to get public input on this issue as well as advise the Mayor and the City Council on how bring affordable broadband to all New York City. Here is Local Law 126.